Commendation at Bradford Textile Society Design Competition! 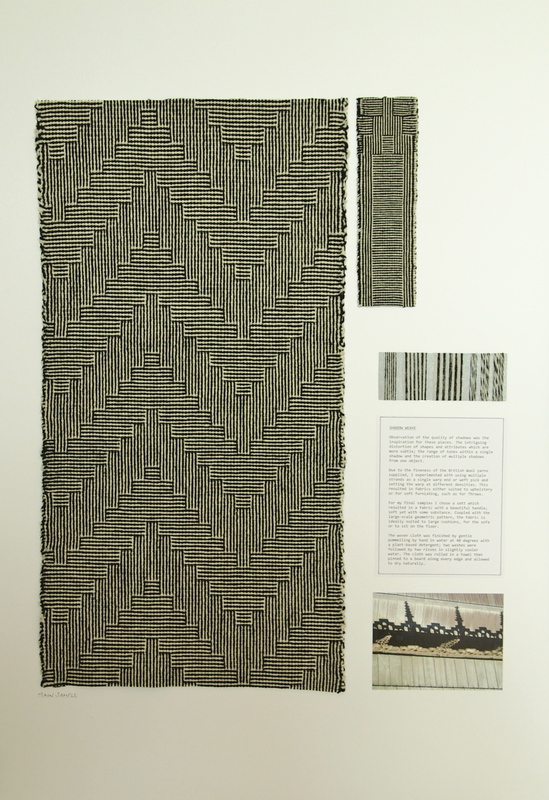 My commendation was in the British Wool Section, for which I entered a Geometric design in monochrome, with two additional development designs. This is the third time I have entered this prestigious competition, which gives students an opportunity to experience a range of types of British Wool. Last year I was an award-winner which led to valuable experiences and opportunities.